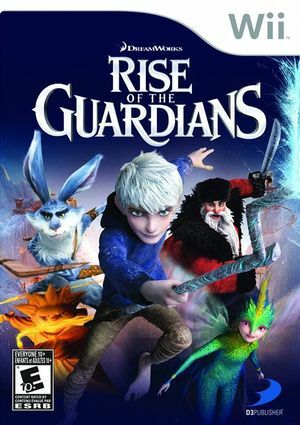 Let your imagination soar in Rise of the Guardians as you play in an action-packed adventure game as one of the classic childhood legends, including: North (aka Santa Claus), Tooth (aka the Tooth Fairy), Bunnymund (aka the Easter Bunny), Sandman, and Jack Frost. Each player has their own set of upgradable and never-before-seen extraordinary abilities to help you take on the evil spirit "Pitch" and his infectious nightmares. With drop-in-and-out multiplayer and up to four players, cool team attacks, and an arsenal of spellbinding moves, you and your team of Guardians will protect the hopes, beliefs and imaginations of children all over the world! The game will flash a green screen if XFB emulation is not enabled. This is enabled via the GameINI for 4.0-97 and newer. The graph below charts the compatibility with Rise of the Guardians since Dolphin's 2.0 release, listing revisions only where a compatibility change occurred. This page was last edited on 13 January 2018, at 08:35.